Young Engineers in ASHRAE (YEA) is sponsoring a social event at the Maple Hall Bowling alley downtown on Saturday, March 9th. YEA is sponsoring the event, but as always, members and potential members of all ages are welcome to come. Maple Hall is a small bowling alley located in the historic JC Penney building downtown. The space has 11 lanes, a full-service bar, small plate food offerings, and a lounge area for those, such as myself, not too skilled with a bowling ball. The event should be a lot of fun and a great opportunity to socialize with fellow ASHRAE members. It is a small venue so please RSVP to zrose@appeng.com by Friday, March 1st so we can plan for and reserve adequate space. Put ASHRAE In Your New Year Plans! Andrew Meyers has finalized our meeting schedule for the remainder of the year and all meeting topics are posted on the “Meetings” tab. Additional detail and speaker biographies will be added in the near future. Please notice that the January and March meetings are scheduled just a bit later in the month to accommodate the ASHRAE Show in Atlanta and Spring Break. We hope that you will note these dates and make ASHRAE a part of your plans! Jeff is amazed at our Chapter’s effort! October Research Promotion Month a Success! Our October meeting had a research theme associated with it, and was a great success. Attendance was the best yet this year, and many of those were recognized for contributions to ASHRAE Research. Jeff Gibson recognized many, both on the projector screen and by giving certificates of appreciation to those who donated. John Sealy assisted, and he added to Jeff’s talk by reminding us that our Chapter has more individual donations that practically any chapter in the country. Our research effort is consistently among the best in ASHRAE. Congratulations Jeff, John, and the entire Research Promotion Committee! Freshman Luncheon at UT MABE! Classes are back in session at the University of Tennessee! To welcome and celebrate the incoming freshman in the Mechanical, Aerospace, and Biomedical Engineering (MABE) Department, Dr. Matthew Mench, Department Head, hosted a voluntary luncheon for all those entering into the program. It was a very informal event for the students to attend, have a free lunch, and be able to see the different programs and clubs that they could potentially be a part of. 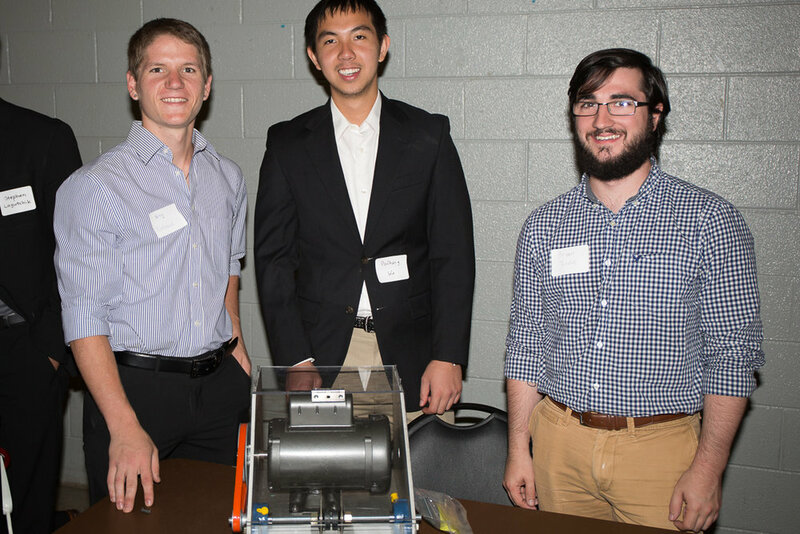 Our ASHRAE student leaders had an ASHRAE table/booth set up by the student chapter advisor Dr. William Miller, who works at ORNL National Lab and is also a Lecturer at the University of Tennessee. Accompanying Dr. Miller were Blake Forsythe, Student Activites Chair, as well as YEA Members Zach Rose and Ian Swaggerty. They managed to talk to over two dozen students about ASHRAE and what we do as an organization and society. The booth had a few senior design project posters associated with topics in HVAC technology that were spearheaded by Dr. Miller and his students. We also had a few of the ASHRAE handbooks throughout the years to show what the organization does and how it contributes to our industry. There was a fairly good interest received from the students as they stopped by and spoke with us about potentially joining the student chapter at UT and the possibilities of becoming a part of the industry post-graduation. Erin Gill, Director of Sustainablity for the City of Knoxville, has advised us about the following opportunities to learn about upcoming code adoptions for the City. Her message follows, as we want all of our members to be aware of these changes. The City is preparing to adopt the 2018 editions of the International Code Council construction codes. Historically, the adopted codes have been amended to reflect earlier editions to minimize construction process changes. This adoption will be somewhat different in that we intend to adopt the 2018 code editions with minimal amendments. Plans Review and Inspections Staff have been reviewing the 2018 codes the past six months. Please join our staff next week Monday, July 30, 2018 through Thursday, August 2nd from 6:00 p.m. to 7:30 p.m. at the Public Works Service Center on 3131 Morris Avenue to learn more about the changes for each code. From a green building perspective, we are evaluating an option to lightly increase a few commercial energy efficiency standards above and beyond base code. Your input as we consider this option would be very valuable. Please feel free to pass this along to others who may be interested. Our April meeting was a success, as Dr. Bill Miller's senior mechanical engineers presented their Combined Cooling and Power (CCP) HVAC unit that not only provides air conditioning but also converts waste heat to mechanical energy. Their presentation was quite professional! The working project was slated to be demonstrated the following day at the annual senior project fair. Our attendance was good for the meeting, and President Andrew Meyers encouraged all to be here for the May meeting - Officer Installation - and invited all to the annual Chapter Lake Party that will be June 2, 2018 this year. January Global Warming Program Cancelled by Cold Weather! In a cold, Arctic blast of irony, our own Tom Werkema's "Update on Climate Change" program will have to be postponed to a later, hopefully warmer day. Snow, and a previous night's low of 9-degrees caused hazardous driving conditions along with the usual school cancellations, etc. in Knoxville. Meanwhile, it was sunny and almost 30-degrees warmer in Anchorage, Alaska. Rumor has it that the annual summer lake party will be scheduled there, in order to take advantage of the newly tropic Arctic weather! Stay tuned for details! Click on image to download a full size copy! Our 2017 Holiday party was a resounding success - we appreciate the efforts of many folks to secure, organize, and execute a great evening. Someone whispered that Anne Jacoby did more than her fair share - we sure did appreciate it Anne! The event was once again well attended with young and old alike. We wish all of our chapter a wonderful and merry holiday season! We will reconvene in Janaury and look forward to the New Year. We are excited about our upcoming Past Presidents Night and Christmas Party on Thursday, November 30th, at Cherokee Country Club! A great menu and program in on deck, including a speaker, carolers, and an expanded social hour. Dress in your most festive holiday attire and be prepared for a great evening! Please RSVP to Anne Jacoby (ajacoby@hobbsassociates.com) by 10:00 am on November 28th. 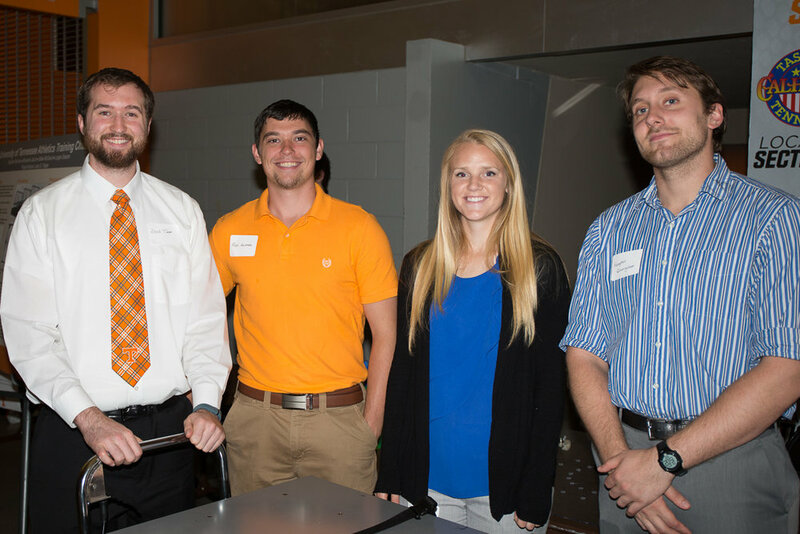 Over 15 people were in attendance at the YEA tour of the new Strong Hall building at the University of Tennessee. Most are pictured above - thanks to Andrew Bosse for organizing this event. It is good to see our YEA members in numbers and supporting our chapter! I hope all is well! Thanks to the help of John Sealy, we will be having our first YEA event of the chapter year at Strong Hall on the campus of UT. We will be taking a tour of the new facility and we will be doing dinner afterwards (location TBD) for those of you that can join! This event is open to any students, YEA members, or general members. I strongly encourage you to bring anyone who may be interested in joining ASHRAE to attend as well. The tour will take place on Thursday, November 2nd at 5:00 PM and will last approximately 1 hour. Parking will be tight so I do encourage those of you that can carpool to do so. Strong Hall is located on the corner of 16th Street and White Avenue and we will meet in the main atrium on the first level of the building at 5 PM. Please RSVP by October 31st to Andrew.Bosse@irco.com. If you have any questions please feel free to call or email me directly. Well, the Webmaster was conveniently absent from the September meeting, but he understands it went quite well! Congratulations to Andrew Myers on a great start to the 2017-18 year! Also, congratulations to John Sealy, Jon Driskill, and Phil Newby for receiving their Chapter Service Awards! Nashville was rocking for the 2017 Chapters Regional Conference (CRC). East Tennessee was well represented with at least 11 chapter members, including new Society Director Van Baxter. Several other companions and friends were present. The event was held downtown and included a rooftop event, great meals, and a VIP balcony at the Wild Horse Saloon. Oh yeah, we had a few meetings and workshops as well! Once again, East Tennessee did very well at the Awards Luncheon, where multiple members were recognized for excellence. In particular, our chapter beat out all others in Research Promotion fundraising! Congratulations to Jeff DeLong on a successful year! New Officers and Summertime Fun! Our May meeting was a success! Our speaker, and former Society President Terry Townsend was on hand to install our new slate of officers. Outgoing Chapter President Jeff DeLong has led the Chapter in what has been another successful year for East Tennessee. Our new President, Andrew Meyers, has been a Regional leader for YEA and represents a youthful turn for our leadership. We wish him the best and with strong support from a new Board of Governors and Committee Chairs, we should enjoy a great year upcoming. Nothing beats a great lake party to celebrate and enjoy. We extend thanks to Tom and Suzanne Werkema for their hosting of yet another YEA sponsored lake party. Included in the pictures above are a few of our lake surfing crew - a great day of water sports!